Everyone knows how important Amino Acids are for protein synthesis and every one knows how much research and testing Purus Labs puts into their supplements. Well if you don’t you should. Purus Labs puts more time into their products then most any other company out I have seen. I have yet to receive a supplement from Purus Labs I didn't like. The only downside to AminOD is Dosage. Most will need to take two scoops to receive recommend Daily dosages. 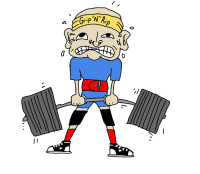 Amino acids are essential for muscle growth and recovery. The good thing about Amino Acids is the timing of them. There really isn’t a bad time to use them. Research has shown you can take them anytime and receive great benefits from them. 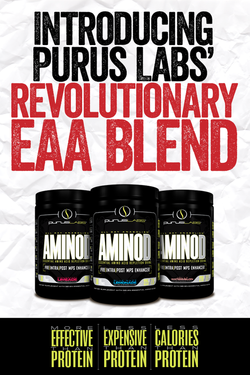 Purus Labs makes sure to use only proven and well research doses in their supplements and AminOD is no different. When researching Amino Acids and timing. 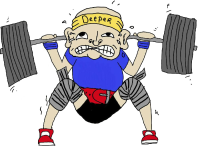 I came across a research article that tested amino acid uptake before and after working out. It was a very small controlled group, but had interesting results. This might be very helpful to some people; if you’re burnt out on Pre-Workouts, need a break from stims or want to add some punch to your pre-workout. 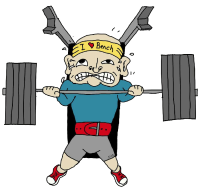 Taking Amino Acid beforehand increased muscle phenylalanine concentrations by 130% and remained elevated 2hrs after working out. If you’re looking for an Amino Acid Supplement look no farther, Purus Labs is top notch and will not disappoint you. The flavors Blue Razz Lemonade, Jolly Watermelon and Strawberry Limeade are all pretty good. I like Strawberry Limeade the best out of the three. When mixed with water and shaken it only takes a few shakes and everything is dissolved. Even after sitting for a bit there is nothing settled at the bottom.